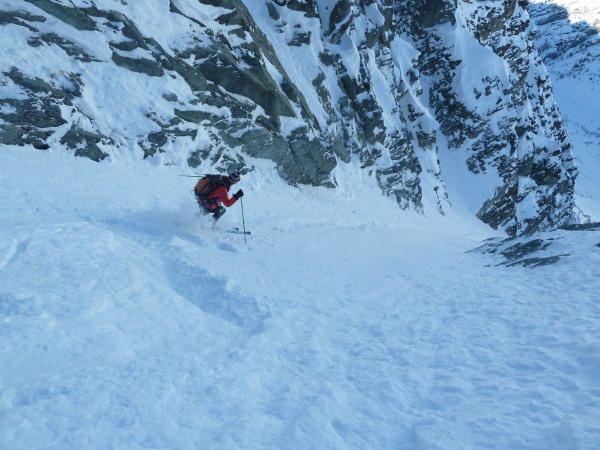 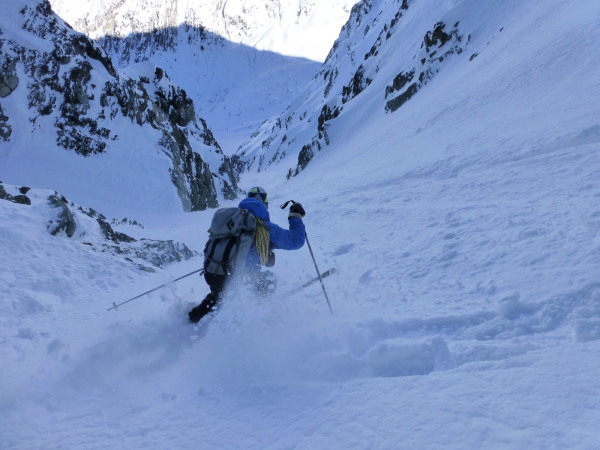 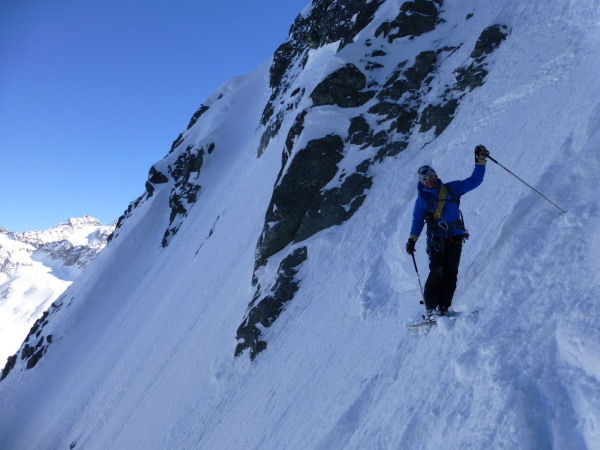 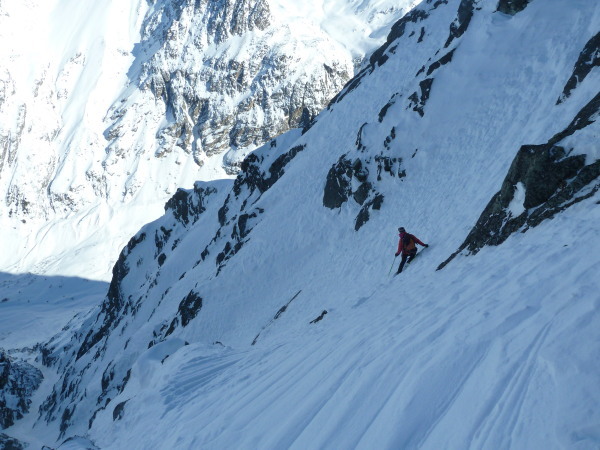 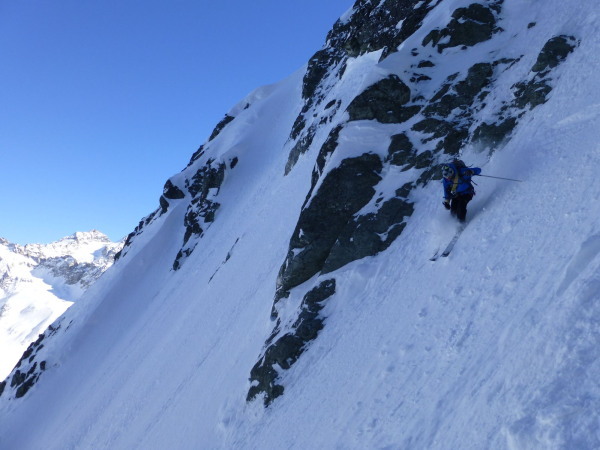 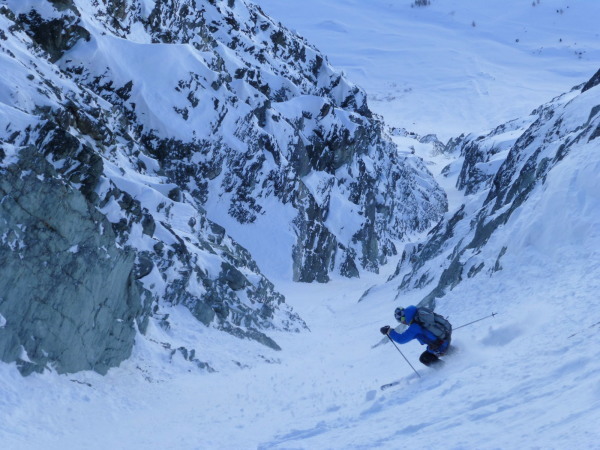 I've looked at this couloir for years, many times from below and once from the top before having second thoughts...Today at last, conditions, free time and a friend to ski with all coincided. 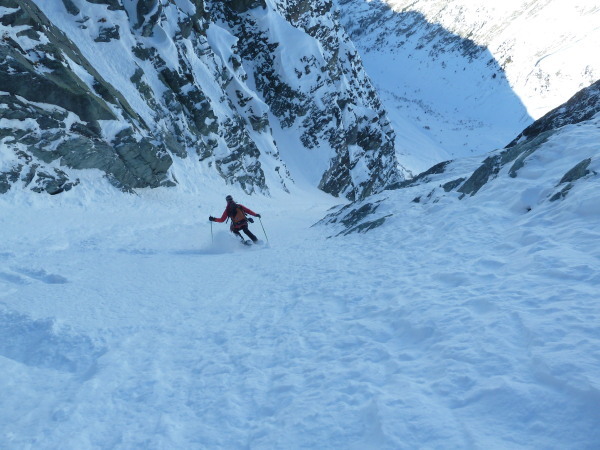 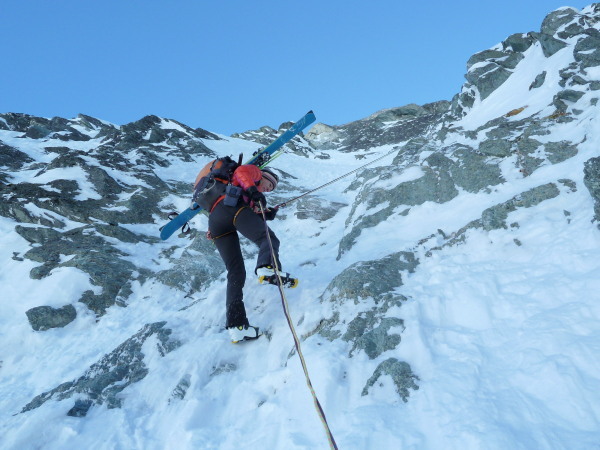 It's an amazing line, around 900m vertical metres of gully with the start at a "good" 45 degrees, and a bit of a surprise when we found an unskiable rock step 100m down needing a short abseil! 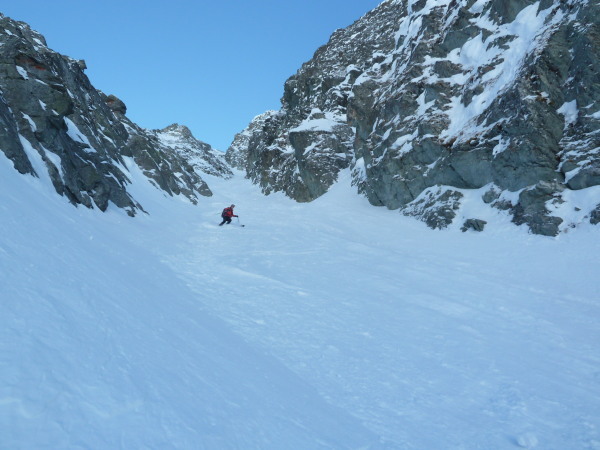 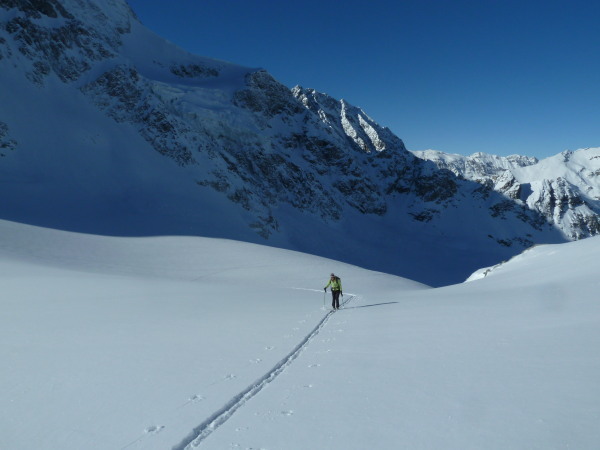 Thanks to Hannah for the skiing, company and the photos.